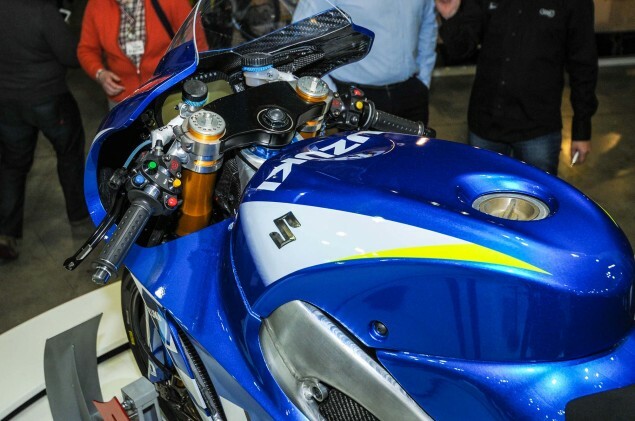 Suzuki are planning a return to the ultimate motorcycle competition, namely MotoGP in 2015. 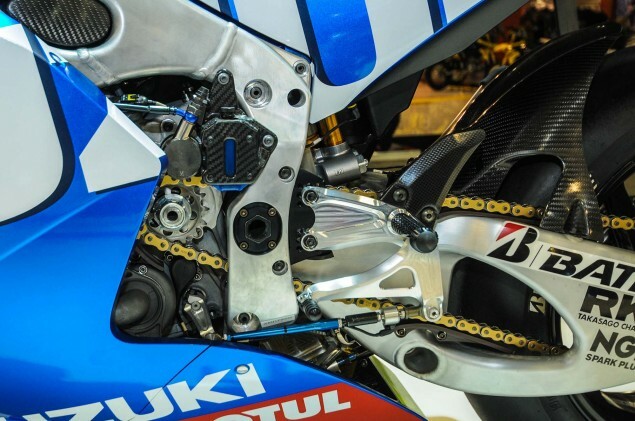 So here are a few snaps which show the Suzuki XRH-1 MotoGP race bike up close and personal. 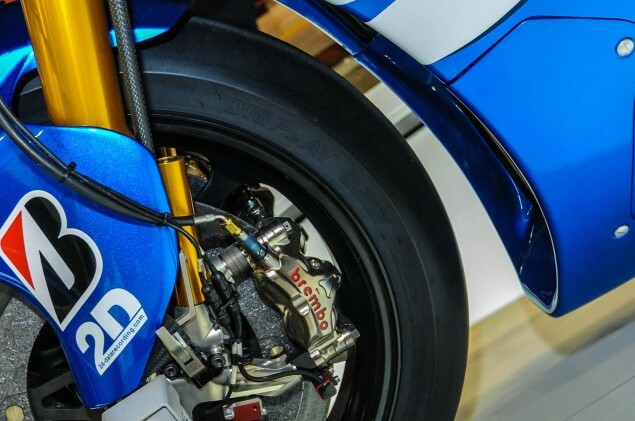 Some of the rule changes for the next season in MotoGP include a 20 litre fuel limit, and a standard ECU for factory riders. 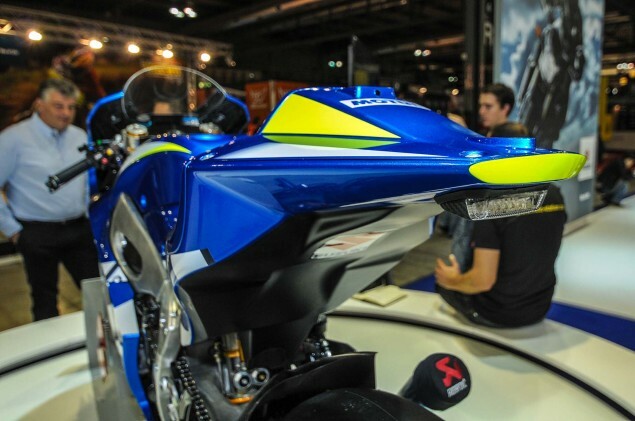 It features a straight 4 configuration and aims to challenge the dominant Honda’s and Yamaha’s. 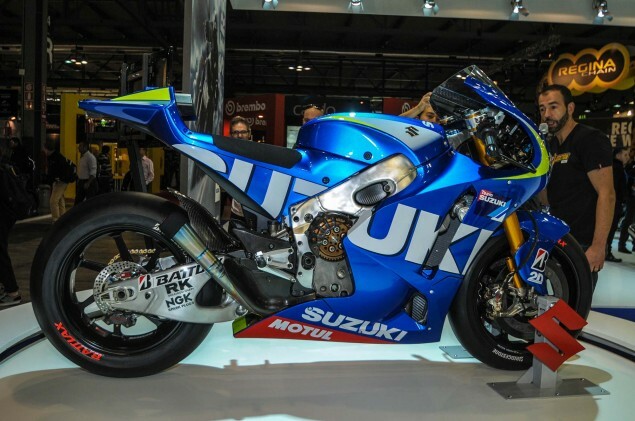 There is still a bit of work for Suzuki to do, but it bodes well for the sport, and I cannot wait to see the name return to MotoGP. I was fortunate to own a Suzuki GSX-R600 K7, and from my experience with the bike, believe that Suzuki should be a name recognized amongst the others at the top rung of motorcycle racing. 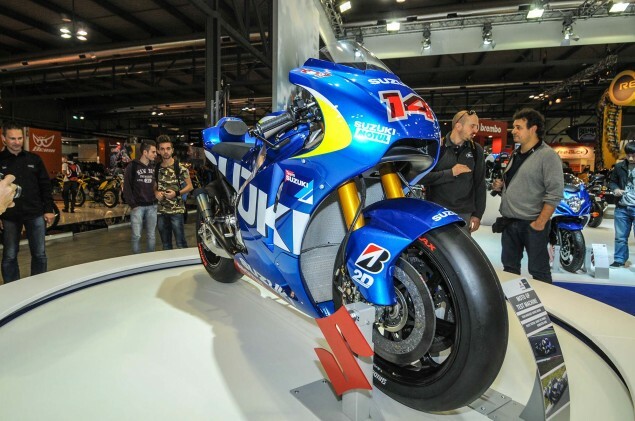 It will be good to see Suzuki back in Moto GP. 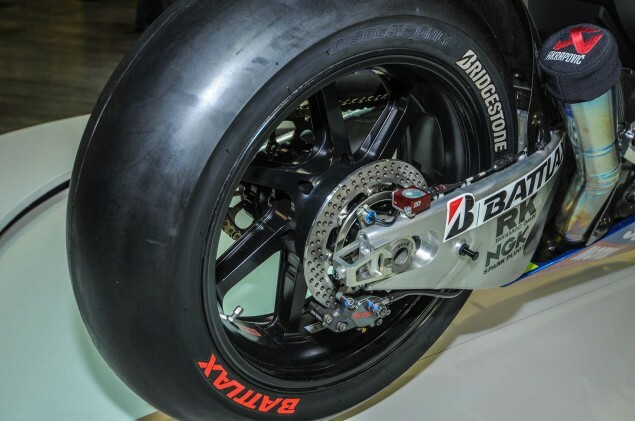 With Aprilia also rumoured to be returning in 2016, the grid will be getting bigger and more competitive.